On September 22, Calcasieu Parish Sheriff’s Office detectives were dispatched to a home in Lake Charles after receiving an anonymous tip concerning cruelty to a juvenile. When detectives arrived they met with one of the residents and explained they needed to check the welfare of the 4 year old girl living in the home. When detectives spoke with the child they observed severe bruising and lacerations to her back, arms, legs and stomach. 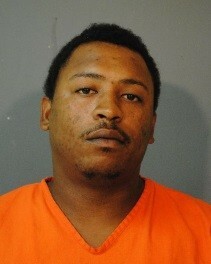 The child advised detectives that a family member, Jessie L. Thomas, 28, Lake Charles, had whipped her with a belt. When detectives questioned Thomas he admitted that he whipped the child with a belt, but stated he was not aware he caused any injuries. The Department of Child & Family Services placed the child in state custody.